As anyone who manages a Facebook Page would be aware, Facebook is always changing. The Social Network is constantly working to evolve in line with user behaviors in order to maximize attention and get you spending more time within the big blue labyrinth's walls. As such, there are always smaller tests and features being pushed out, minor updates that may not make big waves, or justify a full, dedicated blog post in themselves, but are still relevant and worth highlighting. To help provide some additional context on these smaller tweaks and tests, we thought we'd try co-ordinating them into a weekly update to help keep you updated on what Facebook's trying out, where they're focused and what you should be watching for in future. Here are four smaller tests or updates seen 'in the wild' this week. Despite taking a lot of criticism for overdoing their Snapchat clones, the numbers largely justify the process. Instagram Stories now has 200 million daily active users, which is 28.5% of Instagram's total active user base - which pretty closely aligns with Snapchat's Stories usage rate (Snapchat says 25% of their users post to their Story every day). Given this, the actual adoption of Facebook's clones isn't expected to be everyone - people who're saying Facebook Stories is a failure because "none of my friends are using it" could easily be mislead, as only a quarter, if not less, of Facebook users need to be using it for it to be considered on par with general Stories adoption. Which brings us to Messenger Day, their Stories clone within Messenger. When recently asked about Messenger Day's performance, Facebook Messenger chief David Marcus said that it's going well, with the participation rate "very good compared to our best Stories product". And they're continuously working to improve the product. This week, some users noted a new option within Messenger Day to respond to friends' 'Days' with quick, one-tap emoji and text options, designed to encourage more engagement with Messenger Day content. As you can see, there are emoji response suggestions along the bottom of screen on the left and text suggestions on the right. This is somewhat similar to Google Allo's 'Smart Replies', which provide quick response options based on message context and your most common replies. You could look at this two ways - one, it could mean that people aren't engaging with Messenger Day content enough so Facebook's trying to boost response. Or two, Messenger Day is going well enough for them to be still working on updates and tools to further enhance the option. Either way, it'll be interesting to see what Facebook does with this, and if it extends to Messenger's main functions, similar to how it works in Allo. So it's pretty clear by now that Facebook is on a mission to bully Snapchat out of their market. Their latest, smaller effort on this front is the addition of new promotions of custom Frames for your events, which are being promoted within event Pages themselves. Facebook introduced the capability to create your own Frames back in December, with an easy to use Frame Studio tool to take you through the process. This, of course, is in direct competition with Snapchat's custom Geofilters - though an important difference between the two is Facebook custom frames are free. Snapchat Geofilters are not. It's another way for Facebook to take more attention away from Snapchat - and with so many events being planned and promoted on Facebook, it gives The Social Network a perfect opportunity to raise awareness amongst this audience. 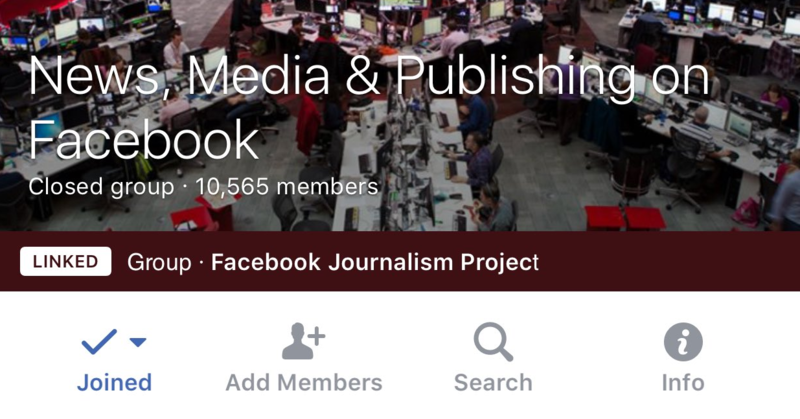 As part of their push to increase the utility of Groups, Facebook's been testing out various Groups experiments, one of the most interesting being the capacity for Pages to post in Groups as Pages, and to link to relevant Groups from their Page. Adding to this, some Groups are now showing an indicator in the main header if/when a Page or Group is connected to it. The direct connection of Pages and Groups could add a range of new considerations for Facebook Page managers, offering more capacity for branded conversation and discussion, helping to fuel community. This new option even further enhances that possibility, with direct links connecting interested Page visitors to related conversation, which could help get them more involved, and could provide another way to link people with relevant answers to their queries and could give Pages another way to establish trust. Not all Pages have the capacity to post in Groups as yet, so this extended functionality is also limited. We'll keep you updated as soon as we hear anything more. And the last significant Facebook update of note this week is their Mother's Day tools. As is becoming more commonplace, Facebook will release a set of options to help users better celebrate the event and share with others. 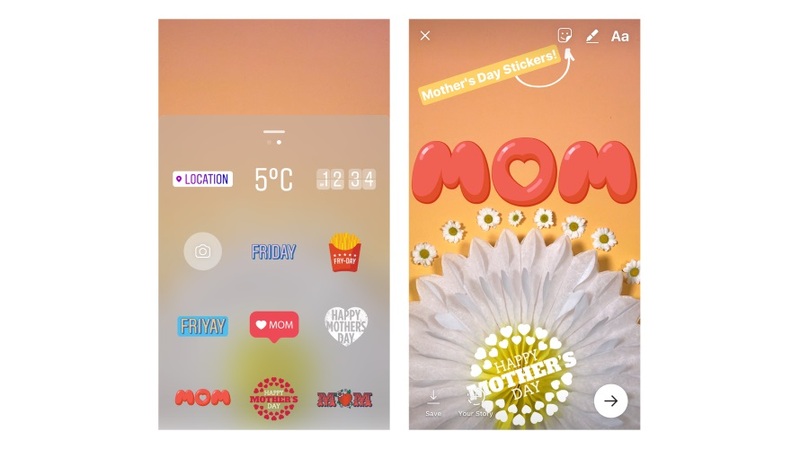 First off, Facebook will be promoting Mother's Day cards at the top of the News Feed, encouraging users to create their own card to share with their Mom. Facebook's been making a habit of releasing such prompts to promote more sharing - and such measures do work. More than 60 million Facebook users visit their personal "On This Day" page every day, and more than 155 million have opted to receive dedicated notifications for the feature. Personal sharing - updates containing personal thoughts and photos - are the lifeblood of Facebook's data network, which they use to better target ads to each user, so it's a crucial concern for The Social Network. As such, the addition of Mother's Day cards is no surprise. In addition, there'll also be Mother's Day frames and masks available via the Facebook Camera. Facebook's also bringing back the 'Thankful' flower Reaction for some users, which they first released for Mother's Day last year. There'll also be new stickers in Instagram to append to your Stories. 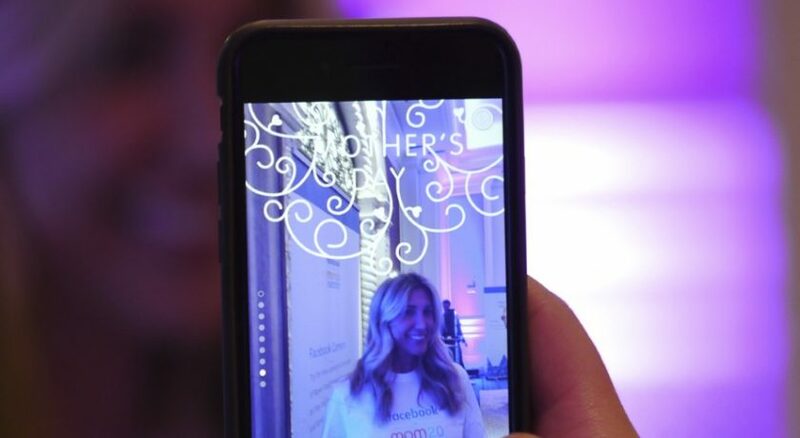 Facebook says that more than 105 million Mother's Day posts were generated last year, and more than 850 million photos and videos were shared. As such - and as noted on the importance of personal sharing - these additions make sense. Look out for them ahead of Sunday - and make sure you're nice to your Mom too. As part of our effort to keep you constantly updated with the latest social happenings, we'll look to cover more of these smaller, but still relevant, Facebook tests and updates in future.